Pierre Simon apprenticed and worked in his hometown of Mirecourt until 1838, when he moved to Paris to join the workshop of Dominique Peccatte. The Peccatte influence is quite strong in Simon's work, but in 1840 he decamped for the Vuillaumeworkshop, ...Read More where he stayed until 1844 and produced many fine bows, some of the "picture" variety. In spite of this change in employment, when Peccatte moved back to Mirecourt in 1848 he left his Paris workshop to Simon, who continued to make bows for Vuillaume and also for Gand frères. 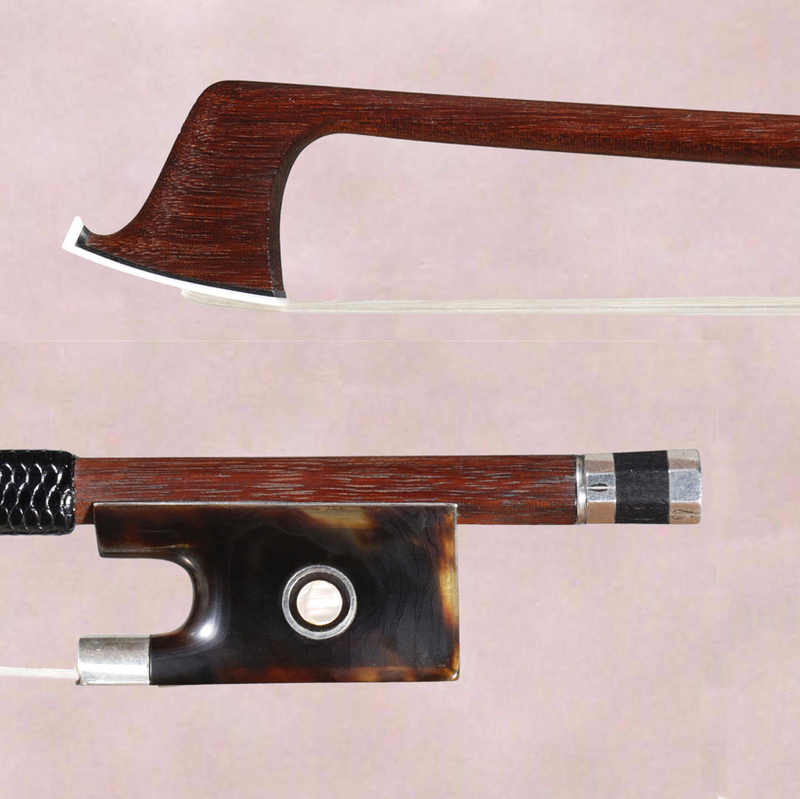 - The auction record for this maker is $72,852 in Nov 2017, for a violin bow. - 154 auction price results.